Nebraska Aquatic Supply is the state's ultimate source of aquarium supplies for hobbyists and everyone who loves seeing colorful fish species. We always love looking at the genuine smiles of satisfied customers who find joy and relaxation in tending to their pet fish. Our company serves clients in select Nebraska cities, particularly Omaha, Irvington, and Council Bluffs. We have been the leading company providing aquarium owners with premium supplies, and our list of customers keeps getting longer by the day. Please call us today at (402) 934-8206 for inquiries or placement of orders. We have the needed materials and aquarium supplies for all your needs, whether it is for a small aquarium that you want to build or for a grand one filled with exciting fish species. We have a large inventory of supplies that we source directly from trusted suppliers. We supply large volume orders, and we also provide small purchases. Just tell us the supplies that you need and the quantity, and we’ll process your orders right away. We have all kinds of aquarium supplies for saltwater and freshwater types of aquariums. Our comprehensive product offerings have made us the top choice of countless clients in Nebraska. We have a lot of repeat customers in Omaha, NE, and we also accommodate a lot of first-time clients from other areas who come to our shop. Whether you need freshwater plants or some species of saltwater fish, we are definitely the place to go. We can provide you with the best quality aquarium supplies from our partner suppliers. Among others, we have protein skimmers, reactors, skimmer and water pumps, rotors, lights, and much more. Our company carries the best brands of food supplies for your prized pet fish. Among others, we sell products from Hikari, Rod’s Food, Cobalt Aquatics, Reef Nutrition, and AquaVitro. We can supply you with flakes and pellet foods in various volumes, depending on your specific needs. We even have food for corals and aquatic plants, hence making us the best stop for all your aquarium food requirements. 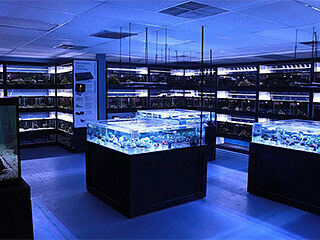 We are extremely proud to say that all our aquarium supplies come from reputable suppliers and are priced just right. We value our clients’ satisfaction, so we make sure that we always upgrade and fill our inventory to meet the demands of aquarium owners in the areas that we serve. Our past and present clients in Omaha and other Nebraska locations can attest to our ability to supply their demands on time and without overpricing. You, too, can enjoy the same customer attention that our clients enjoy when you call us now. 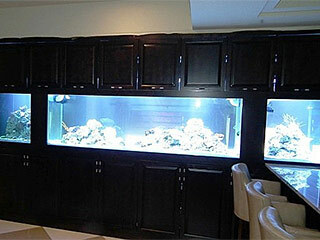 We’d be pleased to provide you with the finest quality aquarium supplies that you need regardless of volume and type. We are open seven days a week, so you can visit our store anytime.